In this “dramatic and satisfying” (The Houston Chronicle) New York Times bestseller, a female psychologist becomes involved in the case history of a troubled young woman after finding a journal in the Boston townhouse recently bequeathed to her by her estranged father. Casey Ellis is in lonely place in her life. Her mother remains in a comatose state several years after a terrible accident when Casey is rocked by the news that her estranged father has suddenly died. Although she never met him, she held onto the hope that someday her father—the celebrated psychologist Dr. Cornelis Unger—might reach out to her. So it comes as a shock when she learns that she has inherited his beautiful townhouse in Boston’s exclusive Beacon Hill. Sensing that her father had an ulterior motive in leaving her the property, Casey searches the house and finds a strange, incomplete manuscript. It tells the harrowing story of a young woman named Jenny who was abused by her parents. When her mother was murdered, her father was sent to prison. After only six years in jail, he is about to be released, and Jenny knows she has to escape. Her way out appears in the form of a man named Pete who shows up on his motorcycle and offers to whisk her away. Convinced the story is true, Casey sets out to find the rest of the pages and help Jenny. With the discovery of each additional segment, she learns more about Jenny, about herself, and about Cornelius Unger. Will it be the key to understanding not only her father’s past but also that of the man Casey has come to love? 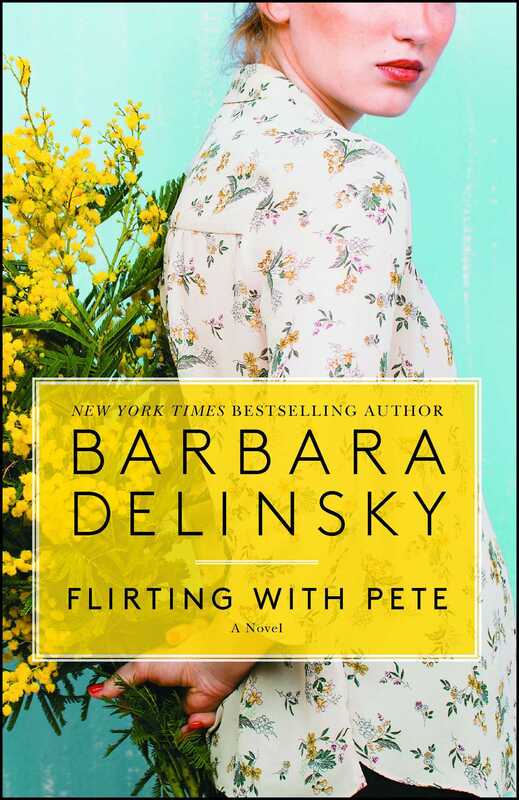 Moving and highly emotional, Flirting with Pete is “another ‘I didn’t want to put it down’ novel from Delinsky” (Library Journal). The memorial service was held in a dark stone church on Boston’s Marlboro Street, not far from where Cornelius Unger had lived and worked. It took place on a sunny Wednesday in June, three weeks after the man’s death, just as he had instructed. Whatever had occurred before then had been private and small. Casey Ellis had not been invited. She sat four rows from the back of the church, and a more genteel audience she couldn’t imagine. There was no sniffling, no whispering, no sighs or moans or wails. Sorrow was not a factor here. This was a professional gathering, a crowd of men and women wearing the neutral shades of those who would rather see than be seen. These were researchers and therapists, present today because Connie Unger had been an eminent leader in their field for more than forty years. The packed house attested as much to the man’s longevity as to his brilliance. Casey would have bet on the fact that of the several hundred gathered here, she was the only one with an emotional stake, and she included his wife in the count. It was well known that the renowned Dr. Unger kept his spouse in a lovely home on the North Shore, where she did her own thing, while he lived alone in Boston and visited her on the occasional weekend. Connie liked private time. He disliked social gatherings. He had colleagues, not friends, and if he had family in the form of sisters, brothers, nieces, nephews, or cousins, no one knew of them. He had never had children with his wife. Casey was his daughter by a woman he had never married, a woman to whom he had never said more than a dozen words after their single night together. Since no one here knew about that night or about Casey, to them she was just one more face in the crowd. On the other hand, she knew quite a few people here, though not thanks to her father. He had never acknowledged her, had never reached out, offered help, opened a door. There had never been child support. Casey’s mother hadn’t asked for it, and by the time Casey learned the name of her father, she was so heavily into teenage defiance that she wouldn’t have approached the man if her life had depended on it. Elements of that defiance remained. Casey was pleased to sit near the back of the church, just one more colleague taking a long lunch hour. She was pleased to think that her presence here was more than the man deserved. She was pleased to think that she would leave the church and never look back. Focusing on these things was easier than acknowledging the loss. She had never formally met Cornelius Unger, but as long as he was alive, so too was the hope that one day he would seek her out. With his death, that hope was gone. Did you ever try to approach him yourself? her friend Brianna had asked. Did you ever try to confront him? Did you ever send him a letter, an e-mail, a gift? The answer was no on all scores. Pride played a part, as did anger, as did loyalty to her mother. And then there was hero worship. Typical of love-hate relationships, in addition to being her nemesis, Cornelius Unger had been her role model for nearly as long as she had known his name. At sixteen she had been curious, but curiosity quickly turned to drive. He taught at Harvard; she had applied there and been rejected. Should she have approached him and told him she had failed on that score? She subsequently got her degrees from Tufts and Boston College. The latter was a master’s in social work—not quite the Ph.D. Cornelius had, but she counseled clients as he did, and now she even had an offer to teach. She didn’t know if she would take it, but that was another issue. She loved counseling. She imagined her father had, too, if his dedication meant anything. Over the years she had read virtually everything he had written, attended every open lecture he gave, clipped every review of his work. He saw therapy as a scavenger hunt, with clues hidden in the various “rooms” of one’s life. He advocated talk therapy to ferret them out—an irony, since by all reports the man couldn’t carry on a social conversation for beans—but he knew the right questions to ask. That was what therapy was about, he lectured—asking the right questions. Listening, then asking questions that pointed the patient in the right direction so that he could find the answer for himself. Casey was quite good at that, judging from the growth of her practice. The people she knew here today were her own colleagues. She had studied with them, shared office space, attended workshops, and consulted with them. They respected her as a counselor, enough to make their referrals a significant source of her clientele. These colleagues were oblivious to any connection between her and the deceased. The warmth of June remained outside on the steps of the church. Inside, the sun’s rays were reduced to muted shards of color cast from the stained glass high atop the stone, and the air was comfortably cool, smelling of history as relics of the Revolutionary War did. Casey loved that smell. It gave her the sense of history that her life lacked. She took comfort in that as one speaker after another filed to the front of the church, but they said nothing Casey didn’t already know. 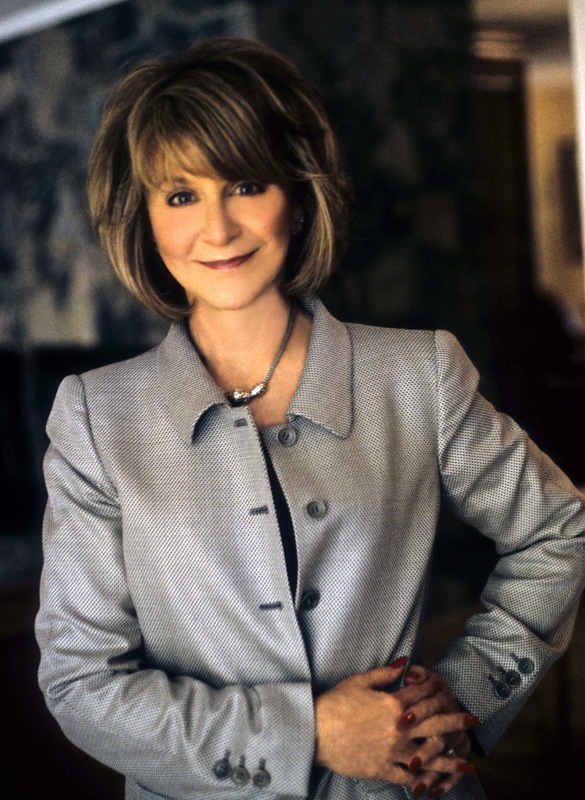 Professionally, Connie Unger had been loved. His taciturnity was alternately viewed as shyness or pensiveness, his refusal to attend department parties as a sweet, social awkwardness. At some point in his career, people had taken to protecting him. Casey had often wondered whether his lack of a personal life helped that along. In the absence of friends, his colleagues felt responsible for him. The service ended and people began to file out of the church; like Casey, they were headed back to work. She smiled at one friend, hitched her chin at another, paused briefly on the front steps to talk with the man who had been her thesis adviser, returned a hug when a passing colleague leaned in. Then she stopped again, this time at the behest of one of her partners. There were five partners in the group. John Borella was the only psychiatrist. Of the other four, two were Ph.D. therapists. Casey and one other had their master’s in social work. “We have to meet later,” the psychiatrist said. Casey wasn’t concerned by the urgency in his voice. John was a chronic alarmist. “My day is tight,” she warned. That gave her pause. Stuart Bell was one of the Ph.D. therapists. More important, he paid the office bills. “What do you mean, ‘gone’?” she asked cautiously. “Yes.” Casey had given Stuart a check for her share on the first of each of those seven months. They had learned the week before that the rent hadn’t been paid for any of those months. When confronted, Stuart had claimed it was a simple oversight, lost in the mounds of paperwork that had taken over so much of their time—and they understood, because they all knew how that went. He had promised to pay it in full. “It’s due next week,” John reminded Casey now. As John moved on, Casey turned to the newcomer. She would have asked what the executor of Dr. Unger’s estate wanted with her, if the lawyer’s eyes hadn’t answered the question. Yes, he did know who she was. “This will only take five,” the lawyer said. With a light hand at her elbow, he gently guided her down the steps and onto a narrow stone path that led around the side of the church. “I believe you’re wrong,” the lawyer chided. He pulled an envelope from the pocket of his suit jacket. It was a small manila thing the size of an index card, with a clasp at the top. Casey stared at the envelope. So it did—“Cassandra Ellis,” written in the same shaky scrawl she had seen dozens of times in margin notes on the graphs and charts that Connie Unger projected onto screens during lectures. Cassandra Ellis. Her name, written by her father. It was a first. Her heart began to rap against her ribs. Her eyes returned to the lawyer’s. Apprehensive, not quite knowing what she wanted to find in the envelope but fearing that whatever it was, it wouldn’t be there, she gingerly reached out. The envelope was lumpy. Casey frowned, pulled in her chin, regarded the lawyer with doubt. When he nodded, she dropped her eyes to the envelope. Carefully, she unfolded the clasp, raised the small flap, and looked inside. She tipped out a key, then pulled out a piece of paper that had been folded over many times to fit. In the seconds it took to unfold it—several seconds longer than it might have taken had her hands been steadier—her fantasy flared. In those seconds, she imagined a warm little note. It didn’t have to be long. It could be as simple as, You are my daughter, Casey. I’ve watched you all these years. You’ve made me proud. There was in fact writing on the paper, but the message was succinct. She saw the address of the townhouse. She saw an alarm code. She saw a short list of names beside words like “plumber,” “painter,” and “electrician.” The names of the gardener and the maid had asterisks beside them. Casey didn’t doubt the value of the house. It sat in a coveted spot in Leeds Court, itself a coveted spot on Beacon Hill. She had been past it many times. In not one of those passes, though, had the idea that she might one day own it ever crossed her mind. “Have you ever been inside?” the lawyer asked. Casey did. She didn’t know whether she felt worse for her own mother, who had lost Connie Unger before she ever had him, or for Connie’s wife, who once had had him but lost him. A distant little bubble burst. From time to time, it had held a dream. As the dream went, one day Connie would come to respect her as a professional, enough to refer clients to her. Even make her his protégée. Even invite her to share his practice, making it a father-daughter group. The disappointment was brief. The dream, after all, had never received an ounce of encouragement. “Ah,” she managed. Still, she didn’t rise. Casey couldn’t go that day. She saw clients straight through until eight, at which time she pushed the issue of the townhouse farther back in her mind and joined her partners in the conference room. Cornelius Unger, the epitome of decorum, would have cringed at the scene that ensued. The mood was adversarial from the start. The group had often had internal differences, but those differences were now magnified by crisis. “He’s always been perfectly rational, which is more than I can say for some therapists,” remarked Renée, Casey’s fellow MSW. “And a more pleasant work environment,” added Renée. “I’m not working in the South End,” declared John. “How can Stuart have wiped out the account?” Casey asked in disbelief. The meeting ended without a resolution. Exhausted, Casey left the office and headed out of Copley Square. She took long strides, breathed deep from the belly, yoga-style, as she went down Boylston Street to Massachusetts Avenue. Turning left, then right, she cut through side streets until she reached the Fenway with its row of brownstones overlooking a ribbon of water and trees. The yoga breathing helped only marginally. Her tears had long since exhausted themselves, but as many times as she came here to visit, she couldn’t be calm. This was not where she wanted to be, here, seeing her mother. If she could change one thing in her life, this was it. Ann Holmes was a motherly type whose calmness suggested she had come to terms with caring for those with severe brain injuries. Caroline Ellis had been in her charge for three years. “Yes, but the message said the Valium helped.” The message had also said that the doctor was concerned with the increasing frequency of the seizures, but Casey was more encouraged than concerned. She chose to believe that after so many months of vegetation, seizures were a sign that Caroline was starting to wake up. “I’ll be quiet then,” Casey whispered. Going on down the hall to her mother’s room, she slipped inside. The room was lit only faintly by the city lights, though Casey could have found her way without. Aside from the few pieces of medical equipment needed for feeding and hydration, the room wasn’t big enough to hold more than a bed, a pair of easy chairs, and a dresser, and since Casey had brought and placed the chairs and dresser herself, she knew where each was. She had also visited Caroline Ellis several times a week for each of the three years since the accident. After so many hours here, walking these floors, staring at these walls, touching this furniture, Casey knew every inch of the space. In the shadows, she crossed unerringly to the bed and kissed her mother’s forehead. Caroline smelled newly bathed. She always did, which was one of the reasons Casey kept her here. Well beyond the fresh flowers placed on the bureau each week, care was given to quality-of-life issues such as personal hygiene, though—like the flowers—that often mattered more to the families of patients than to the patients themselves. This was particularly true for Casey. The Caroline she’d known had mucked out stalls for the animals she owned, yet the only smell Casey had ever associated with her was the light, fresh one of the eucalyptus cream she used. Casey kept a supply of it here, and the nurses applied it liberally. They couldn’t prove that it helped Caroline any, but it certainly calmed Casey. Sitting by Caroline’s hip, she took her mother’s stiff hand from the sheet, gently unbent her wrist and uncurled her fingers, and pressed them to her own throat. Caroline’s eyes were closed. Though she wasn’t aware of doing so, her body still followed the circadian sleep and wake cycles. Back then, there had been anger and hurt. What Casey imagined from Caroline now had more to do with bewilderment. Casey didn’t mention the memorial service. She wasn’t sure Caroline would understand why she had gone, didn’t want Caroline to think that she had been looking for anything from Connie. Caroline had always been the perfect mother, secure in every regard except that having to do with Casey’s father. Given her present situation and the fact that her life savings had been decimated by medical costs, she would feel threatened by so lucrative a bequest from Connie. Eager to change the subject, Casey opened her mouth to tell Caroline about the office crisis. Before a word had come out, though, she thought twice. Crises came and went. She didn’t need to burden Caroline with the latest. Caroline’s energies were better spent on recovering. So she sat quietly for a while, alternately working those rigid fingers into a semblance of flexibility and warming them against her neck. When Caroline was sleeping comfortably, she gently tucked the hand under the sheet and kissed her mother’s cheek. In the darkness, she studied her mother’s face. After a minute, she slipped silently from the room. Leaving the Fenway with a deep ache inside, she walked ten minutes in the direction of the river to the small one-bedroom Back Bay condo that she had bought two years before and was still wondering if she could afford. The issue would be moot if she moved to Providence to teach, but she wasn’t up for grappling with that decision tonight. By the time she had gone through the mail and heated a Lean Cuisine, she was wiped out. With a client due at eight the next morning, she went to bed. She didn’t get to Beacon Hill on Thursday, because when she wasn’t seeing clients she was rehashing the Stuart thing with Renée, Marlene, and John. Stuart’s wife claimed she had no idea where he was, and the bank claimed that there had never at any point been seven months’ rent in the partnership account. No amount of back-and-forth in their own conference room was productive. The four of them were getting nowhere but under each other’s skin. “Didn’t you look at the bank statement?” Marlene asked John. “How are we going to come up with another twenty-eight thousand?” Casey asked. Casey left the office at six, so tightly wound that she headed for the Y. She needed yoga far more than she needed to go to Beacon Hill, and when the class was done, she was too relaxed to think of Connie Unger. Desperate for pampering, she treated herself to dinner with two friends from the class, and by the time they had laughed their way through a bottle of Merlot, it was too late to go anywhere but to bed, and there but briefly. She was on the road by six Friday morning, heading for a workshop in Amherst. It was evening before she returned to her car. When she accessed her messages during the drive home, voice mail from her partners expressed more of the same quibbling, and suddenly she was tired of it. Relocating to Rhode Island to teach would certainly be an escape from the mess. She didn’t answer their calls. The pettiness embarrassed her—and that, even before she considered what Cornelius Unger would have said about such a discordant group. She had failed again, he would say. He had never been robbed by a partner. Of course, he had always practiced alone. And Casey could do that. She probably would if she took the teaching job, because she would only see clients for a few hours a week, and then from space within the university. She certainly couldn’t see herself giving up therapy entirely. She loved doing clinical work. But moving to Providence raised another issue. She didn’t know if she wanted to be that far from her mother—which was an irony of the greatest order. Casey had grown up in Providence; Caroline had lived there right up until the accident. During all the time in between, Casey had been desperate for the distance. Caroline was the epitome of home and hearth, everything Casey was not. The closer they lived to each other, the more obvious this became. Casey’s career notwithstanding, Caroline was a hard act to follow. Giving proof to that now, Casey returned home and rather than cleaning out her refrigerator, sorting through the pile of mail growing like mold on the kitchen counter, or even reading a book, she watched reruns of Buffy the Vampire Slayer until she fell asleep on the sofa. She got up at midnight and went to bed, but didn’t sleep well. If she wasn’t fixating on that ugly word “concern,” used by the doctor again that day, she was thinking about the teaching position, which was past the point of needing an answer, or the office situation, which was starting to stink, or the fact that she was thirty-four and without roots. Then she thought of the Beacon Hill townhouse that she had so unexpectedly inherited, and a silent nagging began. She was avoiding the place. She didn’t need an esteemed colleague to tell her that. She was making a statement to this dead father of hers that she resented being acknowledged only when he died and that she didn’t need his three-million-dollar townhouse. She was keeping him waiting. It was as simple—and as childish—as that. Saturday morning, she awoke feeling brave. She wanted to think she was also in grown-up mode, though she feared that was asking too much. Defying the conventional wisdom that said she was going to an upper-crust part of Boston and ought to dress the part out of respect for her father if nothing else, she left her face utterly naked, put on skimpy running shorts and a cropped singlet, and pulled the length of her strawberry-blond hair through the hole in the back of her rattiest baseball cap. After lacing on well-worn running shoes and grabbing her darkest, trendiest wraparound sunglasses, she set off for Beacon Hill. She had barely gone two blocks when, chagrined, she jogged into a U-turn and ran back home for the forgotten key. Tucking it, her cell phone, and a water bottle into a slim fanny pack, she set off again. It was a gorgeous morning. At barely nine o’clock, there were nearly as many runners as cars. She ran at a comfortable pace down Commonwealth Avenue under the shade of aged maples and oaks that dominated the center mall. After jogging in place at a red light on Arlington Street, she entered the Public Garden. Indulging herself, she circled the pond, passing swan boats that were just coming to life, parents pushing babies in prams, other children running ahead to toss pebbles into the water. Each plunk brought a crowd of ducks that dispersed as soon as the ducks realized the pebbles weren’t peanuts. When the circle was complete, she continued on to the intersection of Beacon and Charles. On a whim—a final defiant one, a last-ditch effort to thumb her nose at the spirit of Connie—she took the time to run down the whole of Charles Street. Making a right at the end, she ran up Cambridge Street, huffed up Joy Street, and turned onto Pinckney for the downhill trot. She had always liked Pinckney Street. It had the same brick and brownstone row houses as the rest of the Hill, with the occasional wood frame house tossed in for added charm. It had the same long, narrow alleyways that were brick-paved and walled, the same window boxes filled with flowers, the same shapely grillwork at windows and doors. By the time she was a good way down the hill, though, her legs had suddenly had enough. From Pinckney, she turned left onto West Cedar, then left again into Leeds Court. The road was cobblestone. It stayed narrow only long enough to clear the walls of the abutting West Cedar homes, then split into an oval around a center grove of hemlocks and pines. Breathless and sweaty, Casey jogged past parked cars, glancing at her inheritance with each casual turn. Sandwiched in with its neighbors, the townhouse faced west from the Court’s deepest point. Built of wine-colored brick, now ivy-clad, it rose four stories above a subbasement level. The first two stories had tall windows and glossy black shutters; the third-floor windows were gabled; the fourth floor was smaller, a cupola. Casey had always been intrigued by that fourth floor, such a sweet thing perched atop the gables. She had always imagined it to be a charming little hideaway—and she still did. But her eye didn’t linger there for long. There was so much more to see. Window boxes on the first and second floors were vibrant with pink flowers. A waist-high iron fence enclosed a tiny front yard, each side of which had ground cover of little blue flowers surrounding a tree in white bloom. Dogwood, Casey guessed—but only guessed. She wasn’t a tree person, or a flower person, for that matter. She had never had to be, because her mother was the expert. Unwilling to compete, Casey had let flora pass her by. What little she knew of it she had absorbed by osmosis. If she took a wild guess, she would say that the flowers in the window boxes were sweet William, though she wasn’t sure how she came up with the name. Whatever, they were beautiful. They were carefully tended and full, putting to shame the geraniums in the neighbor’s window boxes on the left and the pansies in the neighbor’s boxes on the right. She assumed that Connie’s gardener, who reputedly loved the house, was the one responsible here, and let herself admire his work longer than she might have if she thought Connie had planted the flowers himself. It was a final stalling tactic. But time was passing. She didn’t want to be at this all day. She had other things to do. Taking water from the fanny pack, she swallowed a mouthful, capped the bottle, returned it. In the process, she found an old stick of Juicy Fruit gum. Not caring that it might be stale, she peeled off the wrapper and folded it into her mouth. Chomping defiantly, she straightened her shoulders, opened the iron gate, and strode toward the house.